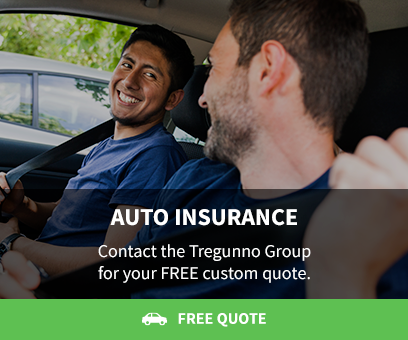 The Tregunno Group in Burlington will help you navigate the wide range of auto insurance options available, and help you develop a plan that works for you. Greg and his team will help you select the auto insurance coverage that's right for you. Whatever the vehicle in question, be it a car, truck, snowmobile, ATV, motorcycle, or anything in between, we can help you get a great insurance plan that meets your specific needs. We'll consider all of your coverage options with your requirements and budget in mind. And, we'll provide you with the information you need, jargon free, to understand the details, and how all the elements of your plan work together. We know that each driver has unique needs, and that means a one-size-fit all plan just won't work. We'll provide tailored coverage that will protect you in just the way you need it to, at the right price. Auto coverage in Ontario has recently gone through various changes, and it's important that policy holders understand what those changes are, and how they might affect their insurance coverage. We'll walk you through how your plan has changed, and guide you through your new options. We'd love to help you find the perfect auto insurance plan for your needs! Get started today with a FREE Ontario Auto Insurance quote.